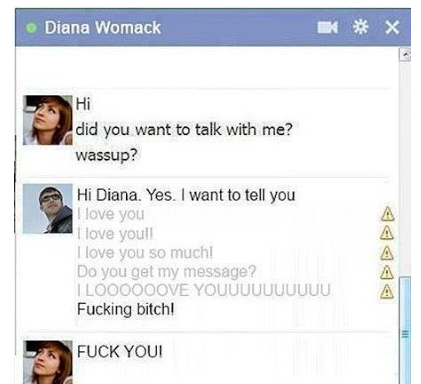 This is the funniest break up at Facebook. Call it a Facebook Breakup. As you all know sometimes when we try to send a message in Facebook chat a Yellow Square appears right after it telling us about “Info: Message Not Sent” due to some reasons. But not all of us were used to that yellow box when Facebook first added this feature. 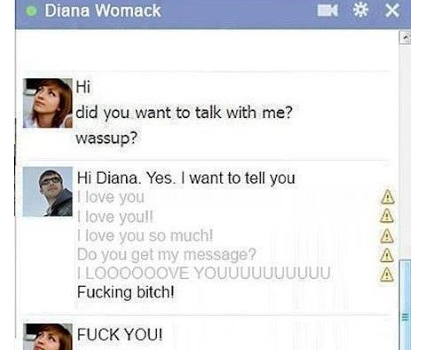 So below in the image you will find how a user called her girlfriend to tell her that she is a f***ing bit*h.
OMG! OMG! OMG!!! How can it be possible?